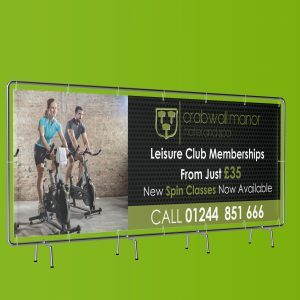 Our ‘standard’ outdoor banner material is a high quality, heavy grade PVC. 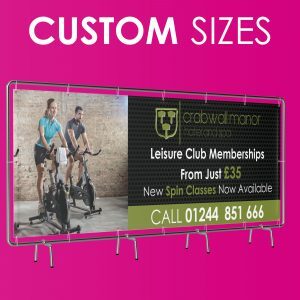 We don’t use the cheap, low-weight PVC that most of our competitors use. 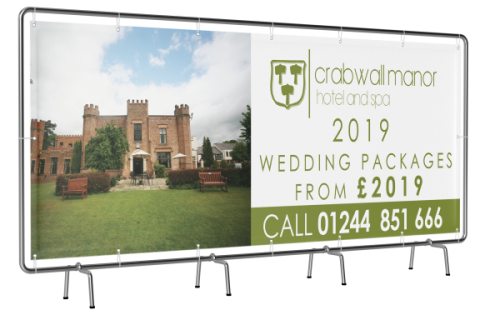 Printed with our waterproof and light permanent solvent inks at high resolution you can be sure your printed banner will look amazing and last for ages.